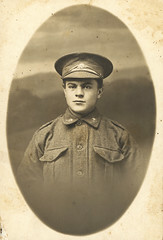 I’ve been doing a little consulting to my nephew*, who has been making a Mongolian bow for a school history assignment. His theory is that the Mongolian bow gave the advantage to the Mongols during their invasion of China in the 14th century, so he’s making one and testing it out. I disagree in a greater part, but it’s more important that he can research, develop and coherently defend a theory. I offered to make him some contemporary bamboo arrows to go with the bow, partially because I knew he wouldn’t have time, and partially because it was an opportunity for me to learn some new skills working with bamboo. He’s also going to be a little more forgiving than a paying client if I make a couple of mistakes while I’m learning, or take some shortcuts. 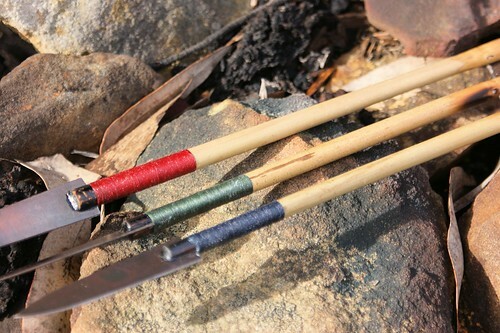 Paleotool has an excellent two parter on making bamboo arrows, I used the information in part 1 on straightening the shafts and carving nock inserts. I’m sure that it saved me three or four hours working out how to do it. Part 2 is on fletching, which I think I’ve pretty much worked out by now. My shafts are the pick of a bag of 24 900mm garden stakes from the local Bunnings. The odd scorch mark you can see are from me straightening the shafts. 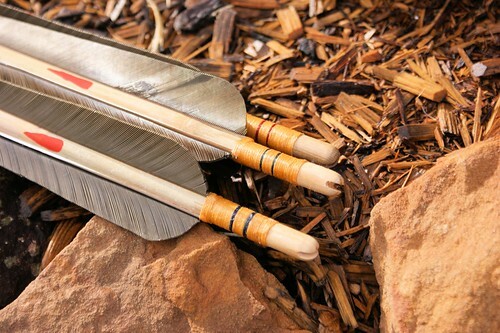 The nock inserts are white cedar offcuts from other arrows, whittled to fit as in Paleotool’s post but with the nock slit cut with a rod saw and eased with a warding file. Fletching is 7″ turkey because I couldn’t get heron or crane or whatever it was that they used. 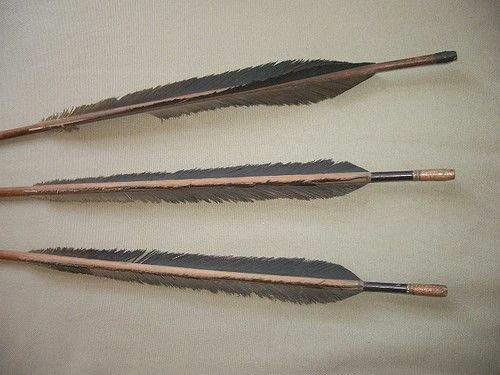 Nock inserts carved from old arrow off-cuts. The heads are from Medieval Fightclub and show a Chinese or Persian influence. Tanged bodkins or even short tanged leaf heads would be more accurate but I ran into problems with the lead time on those. Binding on the point and front of the fletching is polyester, standing in for silk, and on the rear of the shaftment and nock insert is linen. This end goes in your hand. The red marking is up when they arrow is correctly on the string when shooting down the right side of the bow for a thumb release. This end drives your enemies before you, lays waste to his lands and hears the lamentation of his women. Here’s the photos I was using for inspiration, both are 14th C-ish. * Technically my nephew in law but we don’t need to get that formal. 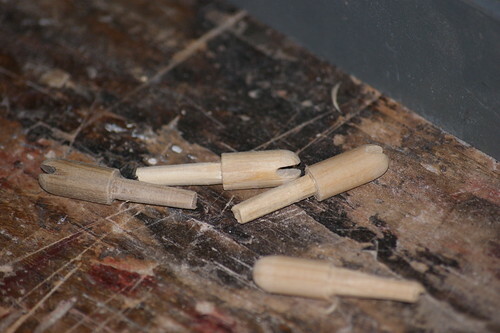 More bamboo arrows from the leatherworking reverend.